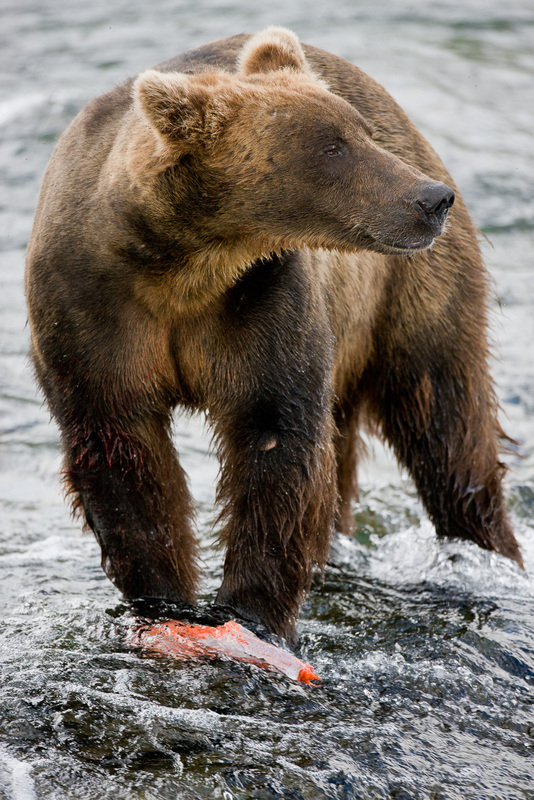 With a fresh meal in paw a happy grizzly eats fresh salmon. They may intake 90 lbs. of food each day. Photo © copyright by Lance B. Carter.